My daughter has been teething badly and I HATE giving her “medicine”. I mentioned before I was trialling a homeopathic remedy from a health food store and this is it. Click here to go to the site and read more if you’re interested. I am so impressed. The taste is good. It’s all natural and my daughter is happy to take it plus it REALLY WORKS! 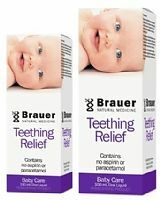 Actually last night I was reading The Organic Pharmacy for my 10 day detox I am starting next week and I came across a teething remedy in there and would you believe it is basically the one I bought? I was ecstatic when I read that. In The Organic Pharmacy it tells you how to make your own, which I don’t plan on doing, but I was so glad to find that what I had bought for my daughter was the right choice. It can be really hard know what to use a lot of the time as products are often labelled as “all natural” or made from natural products when in fact they are not. Ok, so most things start off in a natural state, but after they have been processed, had chemicals and things added, heated, cooled, whatever and had their complete composition changed, they are no longer “all natural”. I am on a mission to change everything in our house to as natural as possible things. I have been doing lots of reading and research and I have been slowly changing things in our house. I want to do it faster but I like to research everything properly. Yes, that's the same product I used on my first son, and worked a treat!! I was so pleased to have my happy baby back again. I've now got a homeopathic kit from Ainsworths. It has about 42 (I think) remedies in it, for colds, bites, teething, bruises, insomnia etc, but they come in pillules, not liquid form. I use it all the time. Did you know you can also get your children vaccinated with homeopathics? They get immunity, without any of the nasty side-effects. Tick tick! This was our fave for Cappers who was a mean teether. We also found a little brandy around the gums worked even better, but I realise you may be a less random parent than I am, so no bother if you don't want to use my handy brandy hint. Port worked too. I didn't know you could get kids immunised that way. I'll look into it, thanks.